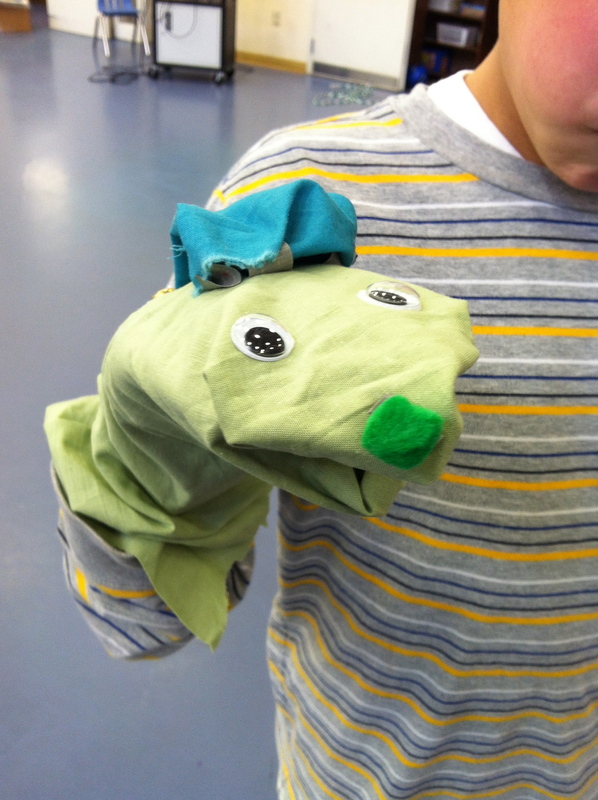 There were no socks, so this student created the same shape with folded fabric and gave him a jingle bell hat! 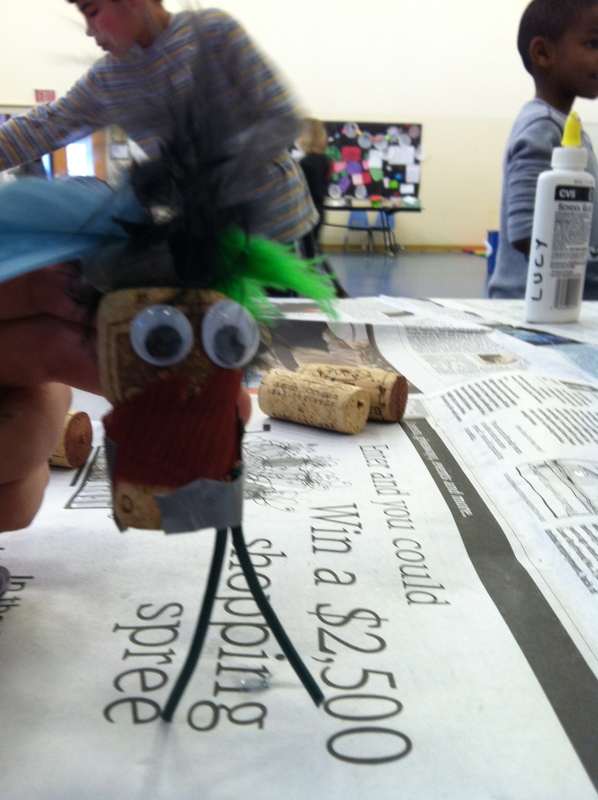 Crazy hair added to a cork with electrical wire legs makes a fun character. This student gave her marionette VERY long strings so her tall father could hold it! 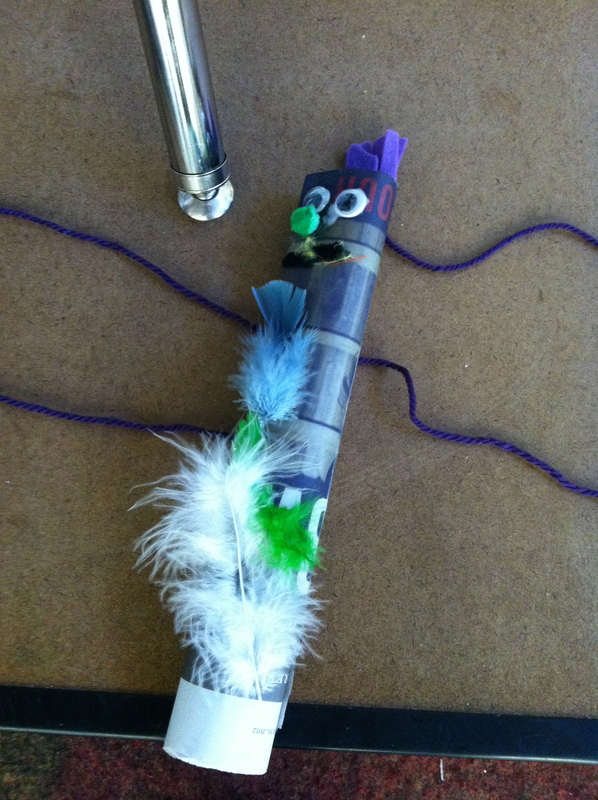 This entry was posted in Workshops and tagged crazy hair, Friends Community School, hand puppets, recycled materials, snakes, string puppets, student work, workshop by ccbooks. Bookmark the permalink.